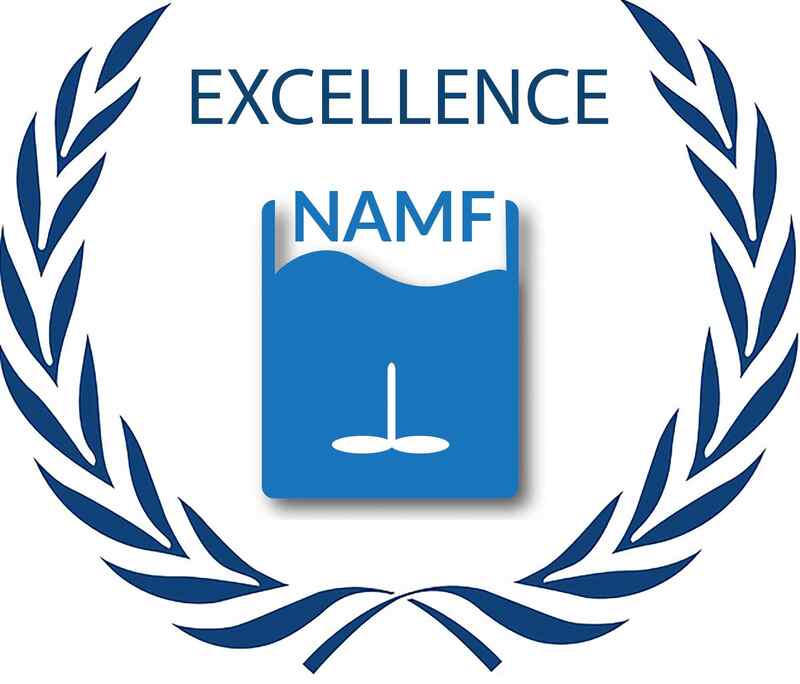 NAMF Award for Excellence and Sustained Contributions to Mixing Research and Practice is given annually to a NAMF member who is a resident of North America. The award, which consists of a cash prize and a plaque, is sponsored by the Dow Chemical Company and is presented at the NAMF Awards Banquet at the AIChE Annual Meeting. The committee chair is the most senior recipient, and the committee consists of the last 5 award winners. Any member of NAMF may nominate candidates. Once nominated, a candidate does not have to be nominated again in the next year. While there is no formal nomination procedure, it would be helpful if a short resume of the nominee and his/her specific contributions to fluid mixing technology are discussed. Excellence – Outstanding contributions to the understanding, development, improvement, and dissemination of mixing knowledge are examples of excellence. Excellence should show more than just an extensive knowledge of mixing, but should show innovative or unique contributions to mixing fundamentals and/or technology. Sustained Contributions – Contributions of more than twenty years of significant involvement in technical meetings on mixing, such as NAMF biennial mixing conferences, AIChE annual meetings and other international conferences on mixing define excellence in this area. Contributions should be more than just attendance, they should include presentations, participation, and organization of technical sessions. A contribution could include election as a member or officer of the NAMF Executive Council. Research – Research can be advanced degree studies resulting in a thesis on a mixing related topic or academic advising and mentoring of students engaged in mixing research. Industrial research can be internal work to understand, improve, or solve laboratory, pilot, or production problems involving mixing. Publication or presentation of the results of such research is expected. Practice – Professional work as a significant resource or consultant for solving mixing problems is considered as practice in mixing. Examples of practice may include new product production, process improvements, patents or other examples of applied technical skills related to mixing. A strong nominee should show contributions to multiple or all these areas of mixing excellence. Applications received from multiple sources may provide a more complete background of a nominee for consideration by the award committee. The nominee should be someone broadly recognized in the community of mixing practitioners, including NAMF members. Please submit complete name, affiliation, and contact information for both the person making the nomination and the person being nominated to David S. Dickey, Chair of the NAMF Award Committee, at d.dickey@mixtech.com no later than March 1, 2016. Presentation: An award lecture and a dinner ceremony during the AIChE Annual Meeting.